Water, which is a great gift to mankind by the Creator is also a great resources to cherish. Water is a very essential natural resource to all of us. As there is no alternative to water, procurement and usage has become vital for us. Water Filters which provide clean water is of much more importance for the safety of our health, helps assure the healthy living. Water borne disease is a great threat to the whole world as more number of people are severely affected due to various water borne disease around the globe. The great challenge posed before us is to prevent the water contamination, as such Water Filters becomes a great boon to fulfill this need. The fear about the water related problems made the people to take preventive measure, which ultimately urged the people to go for reliable Water Filters. Water Filter is a great and essential invention by the experts, to cure the water contamination by removing the dirt and sediments to ultimately eliminate the harmful bacterias which affects the health of the people. The different layers in the filters helps remove the dirt as well as eliminates bacteria in the water and provides pure water to drink. The invention and continuous innovation in Water Filters has brought many choice to the people according to their need and budget. The technology of Reverse Osmosis proved to be reliable in providing clear water for drinking purpose. It further helps to have the allowable ratio of minerals in water, which is essential to people's health. There is a wide choice to select the Water Filters which assures a healthy competition among the sellers. The price of the Water Filters are affordable and reasonable and hence it becomes easy for anyone to lead a healthy living away from water contamination. As there is a great saying 'Health is Wealth', let us take essential steps by acquiring appropriate Water Filters to live in prosperity, healthy and wealthy, throughout our life. Great post! Thanks for the information, and the message on Bloggers! 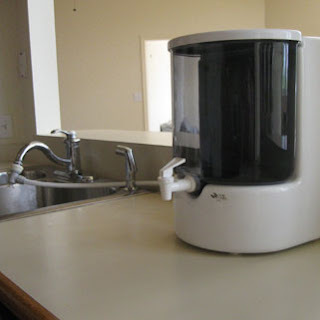 Yes your are right....Water Purifier Market in India is expected to grow at a healthy rate as the awareness for water purifier is on the rise and people are becoming more health conscious. Great. In fact we need water filter to get clean water to drink.